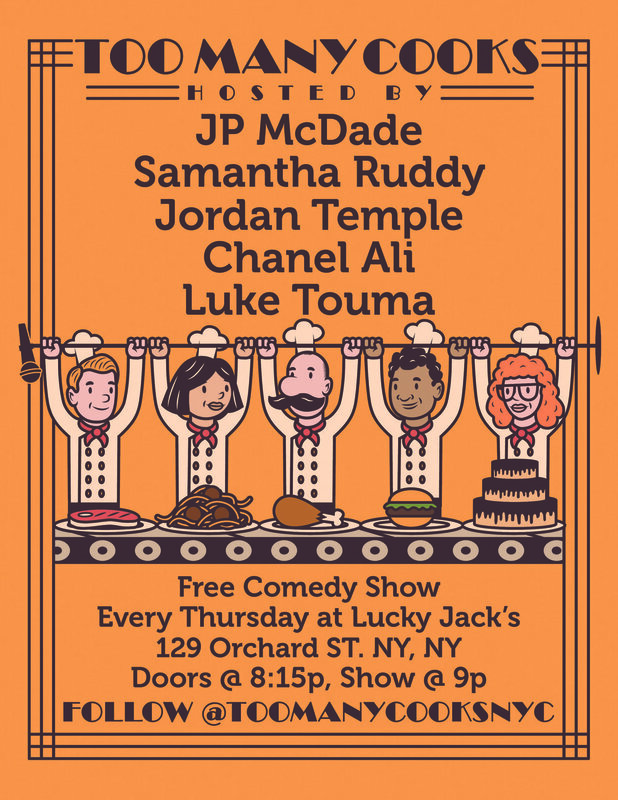 Every Wednesday, Jordan is a host of ‘Too Many Cooks’ a weekly show at Lucky Jacks in The Lower East Side. Most Wednesdays he is there hosting, doing a set, drinking and hanging out or helping put away chairs. Come see him do one of the five! Show moves to Thursday nights at the same time starting in April!